Ko Ohine Waiapu te marae. Ko Tonisha Ngawai Joyleen Rohe ahau. I was born and raised in Gisborne; absolutely loved it. It's cool being from a small town in Aotearoa and it's definitely shaped how I am today — I don't really like to consider myself an Aucklander, however my friends and whānau tell me that I am. I don’t remember a lot from my early years, just that I went to kohanga and I was really close with my pāpā, he passed away when I was four. My mum and aunties tell me stories of how I always had first dibs on the front seat and that if I dropped a toy on the floor he would pull the car over to pick it up, I wish he was here all the time. The first school I went to put very little effort in to anything Māori. My experience could be explained as mainstream, monocultural and assimilating. My mum told me this story of how I came home one day and asked her, “mum what’s a mowrie?” She was pretty taken back. She asked “do you mean Māori? I told her, “no mum the kids were saying mowrie, what is it?” Replying, she said, “No, it’s Māori and that’s you, you’re Māori.” I looked down and said “No I’m not, I don’t want to be a mowrie.” That broke my mum’s heart, she went to the principal and asked what the school was going to do about it, when they refused to take any action Mum moved me to a school where being Māori was not only normal but valued. My new school was the best at kapa haka and it was cool as far as primary schools go. 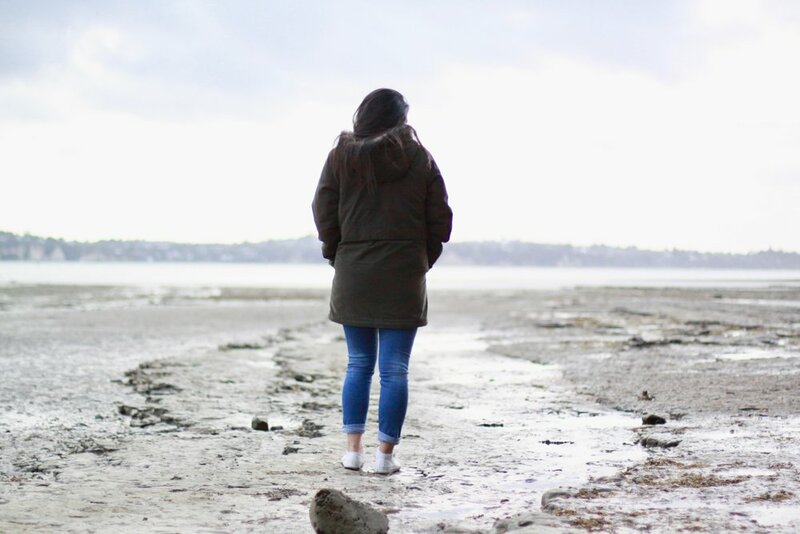 It didn’t change my awareness of the stigma being Māori carried, but since I was in a space where it was everywhere and everyone, I didn’t feel the need to reject it. I come from a family of princpals and teachers so education has always been really important to our whānau. Eventually my sisters and I moved back to mainstream schooling just before intermediate, which really sucked for me. I was such a little kaka to my teachers because I was so bored all the time, the work wasn’t challenging me. My mum tried to get me moved to a different class but nothing changed so the cycle kept repeating of not learning, being bored then playing up. From a young age mum always tried to teach us Māori values and to understand the importance of whānau. Every New Years we'd stay in our whānau homestead in Whitianga bay to spend time together, the house was built by my great grandfather for his parents. As a teenager I would tell mum, “this is dumb I just want to go and hang out with my friends” but looking back now, I'm so grateful for that connection and for my mum instilling those values of whānaungatanga; they're a part of who I am now. In my first year of high school I started attending a youth group. Sitting in that youth group, I distinctly remember the youth leader, who was a Pākehā guy, saying "Māui's not real." I know now that he was trying to emphasise how real he believed Jesus to be but the consequence of saying that to a 13 year old Māori girl, was translated as 'your taha Māori has no place here.' At the time I wasn't really into the whole Jesus buzz anyway but it played on my mind a lot. In addition to this I started to notice that a lot of Māori in my year were going to parties — which was mean cause I wanted to go to parties too — but over time many would skip class to get stoned or drunk and they stopped caring about school. There were heaps of social groups like the smokers, the soccer boys, the academics, among others. Many of the Māori in my year, regardless of what group they were in, weren’t motivated to succeed, which contributed to a lot of them lacking the aspiration to move forward in themselves. 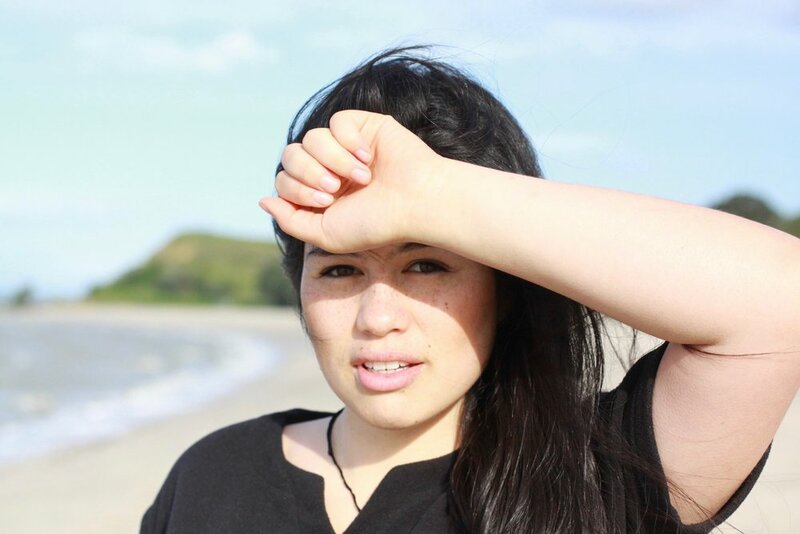 I had friends who would make fun of the “mowries” – my culture was a joke and I didn’t want to be associated with the negative stigma that came with being Māori, so I dropped it. It makes me sad looking back, I thought being Māori was nothing when in reality it’s everything. I just wish that I had listened when my parents told me that I didn’t have to walk away from my Māoritanga to make something of myself. Around that same time was when I became Christian. I had kept going to that youth group for a couple more years before deciding to give this God thing a real go. I loved life, I had a bunch of new friends and was always out doing cool things. I learnt what it meant to think of more than myself and was all about Jesus. I had adopted a new way of life, one that was different to many of my family members. This alone caused a slight tension and awkwardness for both parties. Alongside this my new worldview meant that the Māori part of me was now of little to no value. Kapa Haka is a big part of my family, but at this point I couldn’t have cared less about it, I would challenge tikanga and was bitter towards those who would force me to follow it. For a while I was chasing the church. I wouldn't call it chasing God because I don't think God is about leaving a big part of who you are behind and so now I'm in the process of finding that middle ground where I'm loving God but not compromising who I am as Māori to do that. I find church so restricting and predictable. It usually starts with a couple of songs, notices, a 40 minute or however long sermon, one more song, then done and it's so structured; there’s no space for me as a young Māori to work out how I connect with God. Some friends and I held a wānanga in 2017 to try and bring together people who are in a similar waka of being Māori and Christian. Elements of the wānanga were good but we still have a lot of questions and soul-searching to do. We're in the process of reevaluating and are hoping to host another wānanga early in 2018 for anyone who's keen to come and kōrero and wānanga with us about these kaupapa. Moving up to Auckland was a big change, but I always knew there was more the world had to offer than what was going on in Gisborne. My mistake was believing the place was the solution; I thought moving to Auckland was the key to success, that all my questions would be answered and I would suddenly know exactly what I wanted to do once I got here. Then I moved and my reality didn’t meet my expectations which left me feeling really disappointed. The first couple of months were just straight up hard. I hadn’t found a job, I didn’t have any sense of direction and I was really down because I didn’t know where life was going. I remember a friend of mine had told me how she used to self harm when she was younger and I began hurting myself the same way. The marks left behind were so discreet, which was ideal because no one noticed. As time passed I got a lot of scars on my hands and it got to the point where I thought about suicide — it was a really low point in my life. Not long after that I got a job in retail and was promoted three months in; that really helped boost my confidence. Life carried on as normal — my friends and whānau didn’t treat me like I was broken, a charity case or there was something wrong with me. They helped me to get involved with different kaupapa and events they were a part of and I became more active in my community. Starting to figure out I could actually do something and I could actually contribute meaningfully to different spaces, my self-esteem began growing with the realisation I did have potential. Eventually I realised I had stopped hurting myself too — I hadn’t consciously tried to or set out to — but I found that with time, with love, with being involved in all these different kaupapa, it became something that just fell away; I didn’t need to do it anymore. That was when I truly started becoming settled into life away from home. In the beginning of 2014 I had the opportunity to visit the Phillipines with WOC where we stayed in a slum for ten days. It wasn’t a missions trip — we weren’t going over there to build houses or tell them they needed Jesus or anything — we literally just went there to learn from them. When I tell people that, they find it really unusual and usually say something like, “why would you stay in a slum, why would you choose to do that?” Or “Wow! You’re such a good person, I could never do that!”. But it was the best experience of my life. We were split up individually with a different whānau in a different area. Just the idea of that was overwhelming but it was incredible; completely life-changing. The whānau I stayed with quickly became my whānau. I had a lot of questions like how I’d talk to them, what I’d talk to them about, how to be in that space, all those questions but it worked out really well. The Philippines was a massive culture shock — when we first arrived we walked through the community to our new homes, there were two coffins and the families around those coffins were gambling. I asked my new Phillipino friends why they were doing that and they told me they couldn’t afford to give them a funeral, so they had to gamble enough money to pay for it. That was heartbreaking. They were there a couple of weeks before I’d arrived and by the time I had left, only one of the families had raised enough money to bury their dead. It was really difficult to see, hear, feel and know that there are places in the world where people just don’t have the money to give their loved ones a decent send off. The most heartbreaking, life-changing moment was when we went for a walk to this slum a little way off from ours. I didn’t know where we were going at the time and when we got there, we saw this community being pulled to the ground. Cops were armed with their batons ready to beat people who weren’t willing to leave. Children and women were crying as they were being taken from their homes, kids were standing around by themselves in dirty clothes; there aren’t any words to describe the feeling of seeing all of that unfold before your eyes. Crying, I just couldn’t understand why they wanted to build another mall at the sake of all these peoples’ homes. The emotion of that experience is something I'll remember for the rest of my life. When I came back to Aotearoa, all of what I’d seen made me think about everything going on behind the scenes here. In the slums you can see their problems and hardships — you’re confronted by them you everywhere you go. Here, it’s more in the background but it still happens. After that I wanted to know everything — I wanted to understand what I saw, what I was experiencing and why I was feeling they way I was. So I went to Bible college for a year and that was mean. Alongside living in the slums, it actually helped me appreciate Te Ao Māori more and I started having all these questions like why are so many Māori poor? Why are there kids who go to school with no shoes? Why are there newspaper articles with pictures of fat brown people and they’re being made fun of? All of these questions sat in the forefront of my mind. I became really passionate about social justice issues that affect Māori so I went to AUT to do a degree that helped me to explore and understand the systematic issues oppressing Māori. It didn’t let me go as far into those kaupapa as I wanted to mind you, but it gave me a solid foundation to journey forward from and it’s what I want to eventually do my masters and doctorate studies in. These past four years I've been on a journey of reconnecting with my taha Māori because I hated being Māori when I was a teenager. When it was around me I took it for granted and now that I'm not surrounded by it as much anymore, it's all I want. Learning how to be Māori in an urban space has also been a really cool journey too; my perspective is always changing. I was telling my friend the other day about some of the insecurities I was feeling — I don’t live on my marae, I’m not close to my papakāinga, those things — and she said something I found so liberating: “being Māori isn’t living on the marae, it isn’t digging the hangi pit, it isn’t taking people on trips up your maunga. It’s being who you are, it’s your values, it’s tikanga, it’s putting an extra spud in the pot, its setting an extra seat at the table, it's manaakitanga and all of those. 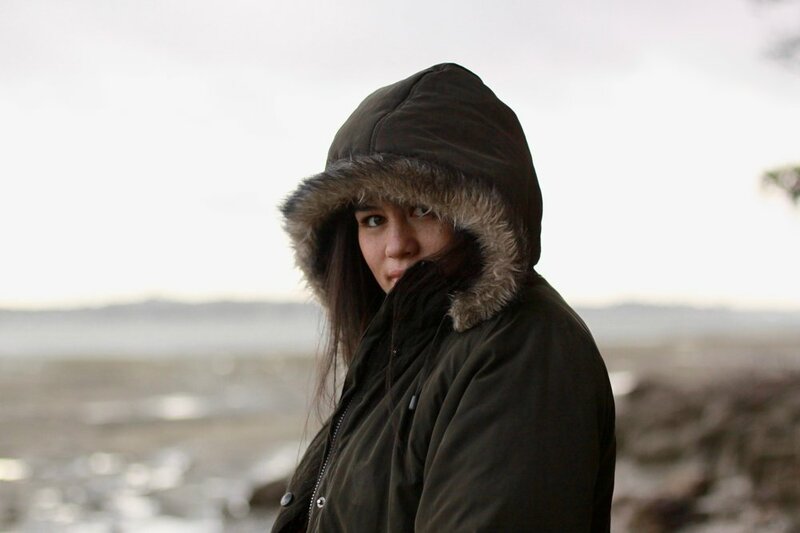 Being Māori isn’t where you’re located, it’s a way of being and you can be Māori in any space whether that’s a city, suburb, or rural.” So that’s been a big encouraging kōrero for me, that I don’t have to be in Gizzy to ‘be’ in my Māoritanga, because I still feel intimidated in Māori spaces at times. Not speaking the reo yet being stuck in that situation of feeling too Māori for the Pākehā, but too Pākehā for the Māori is the space I'm in at the moment. Where is the balance? How do I walk between these two worlds? Do I walk between them or do I just create my own middle ground and is that okay? There's still so much division because of our disconnection from each other and our different experiences as Māori; I think we need to be real about that and acknowledge it if we want to see things change for our rangatahi. Doing mau rākau has been another amazing part of my reconnection to Te Ao Māori; it’s the best thing ever and it’s brought my dad and I closer together. He used to do mau rākau when he was a teenager so it’s all we talk about. When I started doing mau rākau with Te Whare Tū Taua we began talking every week about how training went. It has been so cool to connect with him on something we both love. Mau Rākau is another space where I am surrounded by other Māori, where the reo is spoken freely and where I’m doing something my tūpuna used to do, it’s really empowering. I’m not fluent in the reo yet but being surrounded by it is helping me to pick it up slowly. In 2018 I'm building on that and doing Takiura's full-year immersion course to regain my reo rangatira. My dream is to live on the East coast (paradise) and own a massive whare so that young people from Ngāti Porou or Ngāti Kahungunu who are disconnected from their iwi can come and I can connect them back in with their hapū and whānau. I know so many people who will say where they're from and in the same breath will say that they don't know anyone from their region or know which hapū they are. That's so sad. I hate colonization and urbanization for that… I want to help bridge that gap and be able to say, “yep I know your koro, I know your aunty, let's go see them” and make that process of reconnection easier. I may not necessarily be related to them but I might know some of their whānau and to do this, I need to live back home and be amongst the community. I still have a lot of “reconnecting” to do myself, and have a whole bunch of whānau to meet but why not make this a reality? I don't want anyone who places their feet on their own mana whenua to feel alone; that's not okay. If I can help make sure a few more people from Kahungunu or Porourangi don't carry this experience, that's exactly what I plan to do. Rediscovering this deep deep love for Māoritanga has been the biggest blessing. 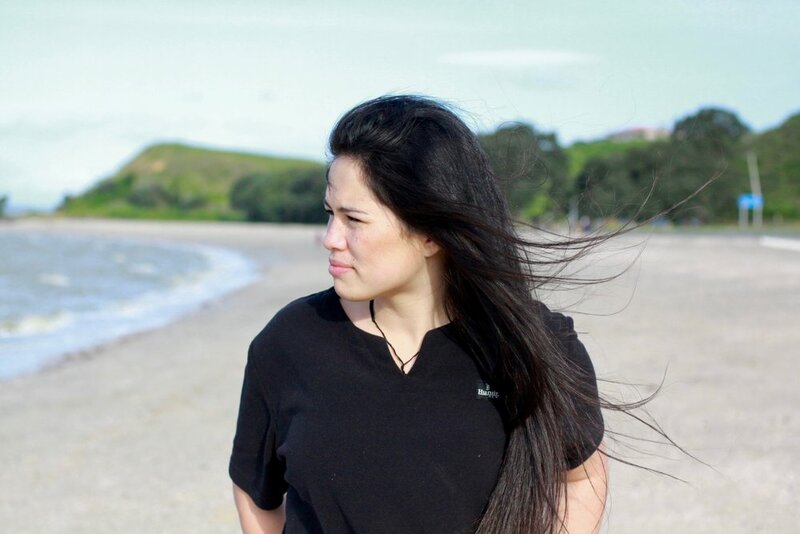 It’s helped me accept who I am as a wahine Māori, it’s helped me learn to love myself and it’s helped me to connect with what I’m so passionate about now. Understanding who you are gives you a totally new perspective on the world and that’s all I want our young people to know — learn who you are first and realise who you come from. I believe that from that space of knowing you’ll be able to find out what you’re passionate about, what you want to do and how you can contribute to the world. Everything I do for mahi is either to better myself so that I can better others, or to just better others and it makes me feel so fulfilled. The potential teachers often see in their kids is something I finally understand now that I’m in their shoes. 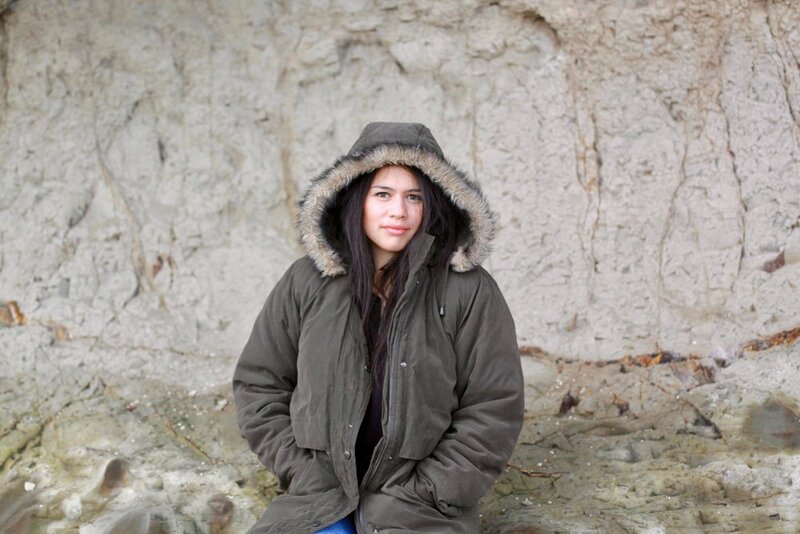 When I was in high school, my teachers saw something in me that I couldn't see myself and that’s my mahi now — encouraging their potential and saying, “you can do this.” It’s so important to have people who speak to our rangatahi’s potential and not to their shortcomings; who can show them that it’s not just possible to be successful and Māori, but that success and being Māori are the same thing. A friend and I were having a wānanga a couple of months ago and she shared this whakaaro that's really stuck with me. She questioned why we are taught to equip ourselves in a foreign world, in Te Ao Pākehā — going to school and/or university — before being built up in character and instructed in the knowledge of our own people, in Te Ao Māori. A lot of that answer is colonisation, but it's still really challenged me because I've got a degree, a piece of paper that says I know stuff, but I don't yet have my reo. It's pushed me to seek out different ways I can reconnect myself back to Te Ao Māori, getting down on all fours and steeping my life in tikanga; in manaakitanga, whanauangatanga, kaitiakitanga and aroha. I reckon every small town has this and Gizzy's no different, where there's a lack of motivation to get out after high school. Having been one of the ones who left and studied, the question of, 'how can I give back to my community and to the rangatahi of Gisborne?' has been on my mind a lot, especially now that I'm looking to move back soon. Knowing there are so many people who are still there, stuck in stagnant jobs when they have so much to give breaks my heart. Even though they've got so much potential, it's so easy to see Gizzy or any other small town as the world with nothing past it. So many of our people are still searching and just wanting to know who they are and I think that's a huge reason behind why there are so many bad statistics for Māori — we've lost that of who we are, or we're told a false narrative of what it means to be Māori. That needs to change. I want rangatahi to understand that there is greatness in being Māori and for them to have the confidence to live that out; to know for themselves that it's something to be proud of. If I could go to my teenage self, I would tell myself that. Looking back over these past few years, my taha Māori and my whakapapa have gotten me to so many cool places in life and I never could have gotten to them without it; it's been my backbone, it's kept me rooted me in place through life's hardships and it's helped me become a more resilient person. To my parents, sisters, aunties, uncles and whānau who raised me, challenged me, supported me and loved me back into a space of wellness when I was struggling to know who I was, my love for you has no end. To my friends who grew with me, who stuck by me, who laughed and cried with me, you saturate my life in purpose, meaning and aroha; thank you for making my world beautiful. To my youth kids who I love so very much, may my story inspire and challenge you to reach further, set your sights higher, aim your gaze steadier, and empower you to always push for more in everything you do. I believe in each and every one of you with all that I am and I cannot wait to see you grow into the mana wāhine and mana tāne you were born to be. This world needs who you are, always remember that. Lastly to all young people from small towns in Aotearoa, don't be afraid to try something new outside of what you know and what's comfortable. A friend once told me that if you aim for the moon and fall short, you'll always land in the stars. Kia kaha, kia māia, kia manawanui.